Sustainability and sustainable development are broad concepts embracing almost every aspect of local and global society, economy and the environment. Sustainable Development is development that "meets the needs of the present without compromising the ability of future generations to meet their own needs." A Sustainable United States will have a growing economy that provides equitable opportunities for satisfying livelihoods and a safe, healthy, high quality of life for current and future generations. Our nation will protect its environment, its natural resource base, and the functions and viability of natural systems on which all life depends. What is Campus Recreation doing to promote sustainability? Incorporating sustainability concerns as a significant priority in Campus Recreation decision making. Promotion of opportunities for students, faculty and staff to become literate in the environmental, social and economic interactions of both human and biophysical systems. Collaborative sustainability/fitness educational strategies to include information, education, theory and practical application opportunities. Departmental practices to reduce the consumption of materials and energy, without decreasing the value and quality of programs and services provided. Consideration of social, economic and environmental impacts of Campus Recreation practices, policies and procedures and participate in their continued development to grow toward a more sustainable future. Bicycling has been part of SIUE since its inception. The Morris Bike Trail was part of the original plan for the campus. Bicycling engages students with the outdoors and the community at large. Furthermore, cycling is a wonderful way to combine three things: fitness, recreation, and transportation. The mission of the bike share program is to encourage a culture shift at SIUE toward increased reliance on non-carbon modes of transportation. 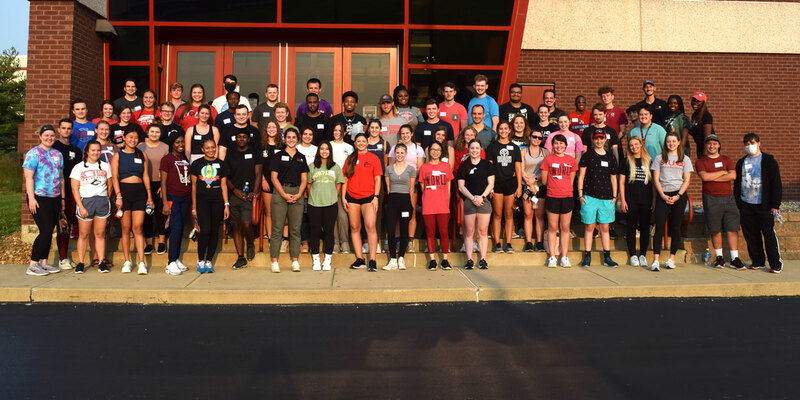 This program will provide those who do not own bicycles with the opportunity to explore the SIUE campus and see how advantageous a bike can be while rediscovering the fun of bike-riding. Campus Recreation offers self-powered and hybrid powered fitness equipment. Campus Recreation uses many self-powered cardio machines and more recently introduced Life Fitness® hybrid machines that will automatically switch from electric to self-generated power when a user reaches a certain intensity level in the workout. This lowers the energy draw from the console by more than 75 percent. When a person is working at a high enough resistance level and intensity, a green hybrid icon will appear, telling the user he is helping to power the machine. The machine’s workout summary will also show users how much energy was saved during their workout. This contributes to education as much as it does to resource conservation. What can you do to promote sustainability? Get involved with sustainability at SIUE. For more information on how to promote sustainability both on and off campus, visit University Housing's sustainability page or contact the Sustainability Officer in Room 2227 of Rendleman Hall or call (618) 650-2441.